Yesterday I saw that Jeremy over at Tribute Audio Designs announced a new pedal he’s put together. It’s called the Effect Integrator. This is an instance of a builder interacting with the community and taking action on what they hear. According to Jeremy, he’d , “been reading on several of the boards about people looking to use their effects on vocals – and the issue with finding a reliable, not too expensive way to do it. [He] thought this might help.” Very cool and just another reason to love Tribute and what they do. 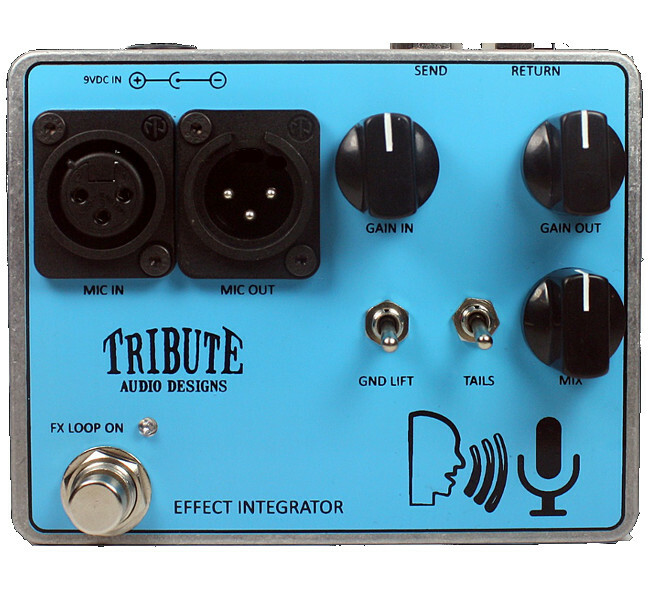 The Effect Integrator works by using a pre-amp to bring the low-impedance microphone signal up to instrument level for driving the guitar pedals. The dry microphone signal can be mixed with the effects in the loop. The signal can be mixed fully dry through to fully wet. The signal is then sent to a make-up gain stage for added control, and then fed through a transformer to feed a low impedance signal to the main PA or recording desk. The transformer allows for a ground lift to eliminate any potential ground loops. The Integrator is hand built in Canada – one at a time. 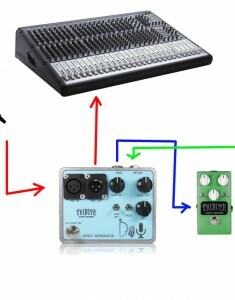 The TAD website has the pedal listed at $175, a great price for something that brings, ease, simplicity and total control to vocal effects in the studio or on the stage. If you get your hands on this device, let us know more about it by leaving a review at Pedal Finder.